When I look up, I see my dreams hovering in the sky. And despite my broken wings, my aspirations still take flight. Somehow they circle the universe and return to earth as answered prayers. Shining so bright they humiliate the stars. Holding me up when I am falling down. Covering my body with armor to protect me from pain. MS seems to dole out a full dosage of detrimental dysfunction. It is wickedly devoted to destruction. And its been chasing me for years. But now the soles of my shoes are all worn out from the running I’ve done. Running from the pain of my situation. Making me dizzy from the hopelessness. Sadden by the suffering of everyone who has walked in my shoes. And if you are reading this, then most likely the same thing that grows in me flows through you. So in order to keep myself from going crazy, I sometimes celebrate during the chaos. That’s when I dream. And I love it. Especially when I soar to the heavens. So I try to do it everyday. Except when my symptoms keep me on the ground. My multicolored daydreams are blown away by reality. Pausing the rainbows of life. Killing adolescent wishes. Padlocking hope. Generating a fear so potent it carries its own heartbeat. Developing a pulse that swallows the carefree attitude of a pre-exacerbation mind. So strong you can smell it. A conspiracy of pain that forms toxic fumes. It’s the fragrance of fear. A swarming roar of black doubt, that creates a fatigue for living. But despite the intensity of my symptoms, I still move forward. Gathering myself to collect the fragments of my life that are left behind. Saving them in the hopes of regaining lost time. And even though I know the days that were shortened by foot drags and extreme exhaustion are gone forever. Those wasted hours of slurred words and wall walking are never coming back. I still have a life to live. So when the exacerbations subside, I use that time to enjoy myself and to be free. Free to flap my wings and fly like everyone else. Free to not only have dreams but also for those dreams to come true. Because I don’t just have dreams, I have a galaxy full of dreams. And nothing, not even MS, will ever stop that. Beautifully written and and so inspirational! I love you dearly and am so proud! Praying for positive effects of the new meds. Thanks for following my Blog! That’s pretty neat. Now I just have to get you two out here! Such a beautiful spirit, of hope, and of dreams not faded…Nicole, you are truly and inspiration, and a eloquent writer…I too have not allowed my diagnosis of M.S cloud my dreams or my spirit…I take advantage of every opportunity to inspire others despite how much pain I may be experiencing…my trails are a true testimony to inspire and encourage others each day, every minute, and second that God gives me and I take full advantage to share myself, my trails and triumps with anyone in need. As a true testament of my Faith, God blesses us in ways others may think are shortcomings…in order to use us as an instrument to do his work….Keep moving, keep inspiring….You are victorious in all you seek to accomplish! Love this post!! It’s almost lyrical and I can see so vividly your beautiful dreams!! As I always tell you, your strength and courage are remarkable and I am blessed to call you my dear friend!! Love you!! I didn’t know you still read it! HOT DAMN that’s cool! Thanks for following my Blog! I’ll have to tell my mom you wrote in. Thank you for the eloquent post! I’ve been struggling for the past 9 months to get through my first “relapse” since being diagnosed w/ MS in 2006. I have not been running for 5 months now and your post reminded me to have hope. Thank you for keeping it real. So inspirational. I love reading your posts. Keep them coming for it keeps me going when I don’t really want to. 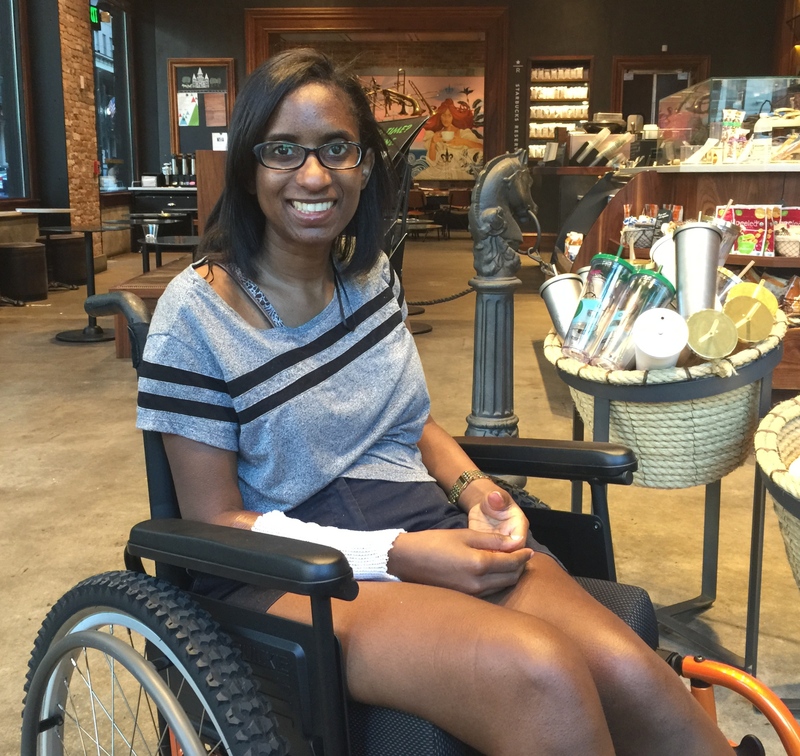 Thank you for writing so eloquently about the life challenges we face as MS fighters. We are beaten down by the “wickedness” (good word) of this disease, but we find those souls who find ways to fight back. Dream and take flight, Nicole. Your latest post is very spiritual and lovely. We must hold onto our dreams whenever we can. I hope you have a blessed day! I always love your posts and wish you the best. Nicole, You are an amazing writer, your post reads like poetry, I can see & feel the stars in your galaxy. Very inspiring ! I am going to print it out and pin it to my wall as a reminder to dream. Thanks for writing. Truly inspiring! Thank you for sharing with us. Stay strong, keep reaching for the sky.